The cost of living in Polish cities is among the lowest in the world, according to Expatisan’s report. The cities of cold Siberia and hot Latin America are even cheaper. Close to the top are Geneva, London and New York. However, the most expensive city in the world can be found in Bermuda. Expatisan's cost of living ranking classifies more than 300 cities from around the world. It consists of more than 50 price categories, including flat rental, food, the most popular products, services, transport and medical care. The ranking, updated on a real time basis, includes five Polish cities. Wroclaw was considered the cheapest and Warsaw the most expensive. Nevertheless, the capital of Poland was generally ranked 261st. The cities are ranked from the most expensive to the cheapest and in comparison to other global metropolises makes Warsaw, therefore, relatively inexpensive. As can be seen from the detailed data, an average of 1,800 PLN has to be paid for renting a 45 square meter flat in Warsaw. A standard lunch in the business district costs approximately 26 PLN. Around 135 PLN should be spent on a monthly gym pass. Wroclaw is a bit cheaper. The cost of renting a similar flat is about 1,560 PLN and a monthly gym pass is 102 PLN. The prices of food in this city are similar to those in Warsaw. The search for a cheaper place to live should begin in Eastern and Southern Europe. The list includes several cities from Bulgaria, Albania, Romania, Russia, Belarus and Ukraine. When moving to Siberia, to Novosibirsk, for renting a 45 square meter apartment in a standard district you will pay about 18,000 roubles, or 1,110 PLN (exchange rates from Conotoxia.com from 10.05.2018). Food is also quite cheap. Lunch costs around 330 roubles (approx. 20.36 PLN) and a loaf of bread was valued at 38 roubles (2.34 PLN). A monthly gym pass is 1,800 roubles or 111 PLN. Those who like it hot may consider Asian or Latin America countries. If Spanish is not an obstacle, Mexican cities are relatively cheap. In Guadalajara, we could pay around 4,700 pesos (939 PLN approx.) for a 45 square meter flat to rent. If you want to live in an exclusive district, you should expect costs at the level of 10,600 pesos (about 2,100 PLN). Lunch will set you back 111 pesos (22 PLN) and a gym pass is 575 pesos (116 PLN). you can expect to pay about 22 pesos (4.4 PLN) for one kilogram of potatoes. Although the choice among cheap cities is considerable, the vast majority of places included in the ranking are more expensive than Warsaw or Wrocław. The leaders are cities based in Western Europe and the United States. As many as three Swiss cities are in the top ten, with the highest cost of living. You will spend the most in Geneva, in the former Helvetic Republic area. Renting a small flat in a standard location costs 1,700 Swiss francs (approximately 6,085 PLN according to Conotoxia.com on 10.05.2018). A more luxurious district would be even more expensive. A loaf of bread costs 2.51 Swiss francs (about 9 PLN) and a litre of milk is 2 francs (about 7.16 PLN). Going for lunch in the business district will set you back 27 francs on average (about 97 PLN). We could pay as much as 40 francs (about 143 PLN) for two tickets to the cinema. A monthly gym pass amounts to 95 francs, or 340 PLN. Similar prices apply in Reykjavik, Zurich, San Francisco, London and New York. However, the leader of the ranking is the city of Hamilton, located in Bermuda. If you dream of living on an exotic Atlantic island, you have to be prepared for high expenses. The cost of renting a small flat is about 1,730 dollars (about 6,211 PLN) and in a luxurious district 2,400 dollars (about 8,616 PLN). It is worth noting that we are still talking about a flat of 45 square meters. Prices increase significantly in the case of space and may even amount to 5,600 USD (20,000 PLN approx.) for 85 square meters. Where do such high prices come from? Bermuda is a small and isolated archipelago, more than 1,000 km from the coast of North America. The largest island is 39 kilometres square, which is less than most well-known Polish cities. For this reason, virtually all goods and products are imported, which generates additional costs. 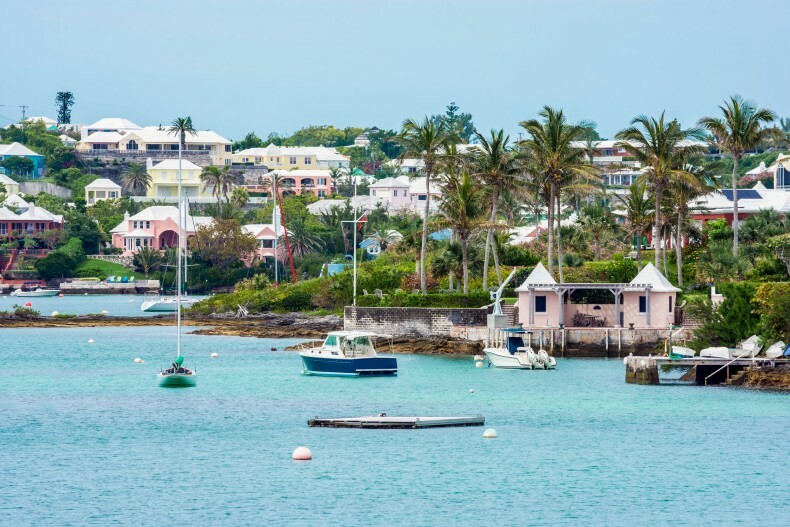 Bermuda is also referred to as a tax haven, which attracts wealthy businessmen. Regardless of whether you are going to another country in search of a new way of life or on holiday, it is worth being well-prepared. In addition to packing the most important things, documents and carrying out the required vaccinations, it is logical to move forward with currency exchange. Using the service available at Conotoxia.com it is possible to do it with a more attractive rate than in the case of high street exchange offices. For larger sums that may be useful, for example, when you travel to Switzerland, the savings can be very noticeable. For instance, by buying 2,000 francs you can save up to 350 PLN in comparison to the exchange rate of some banks (exchange rate taken from Conotoxia.com on 10.05.2018). It is also worth getting acquainted with the other conditions in a given place. The Expatistan ranking only analyses prices, leaving aside elements such as average wages, safety, weather conditions and other handicaps for foreigners. These can be just as important as the costs of living.